Microsoft listened to users and brought back the ability to boot directly to the desktop instead of the Start Screen. 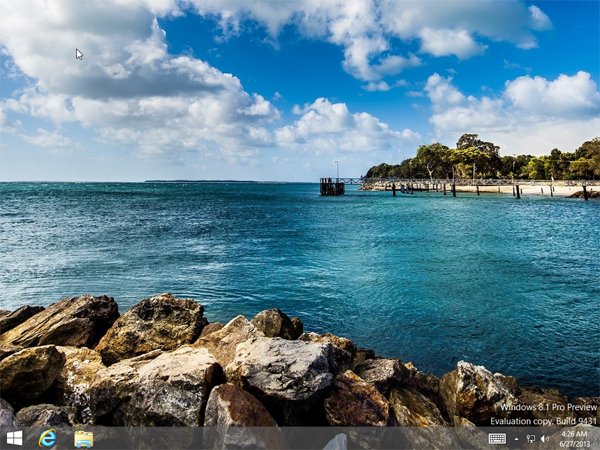 After customization, Windows 8.1 will display the desktop just like previous versions of Windows after logging in. Third-party utilities are no longer required and enabling requires just a few clicks or taps. 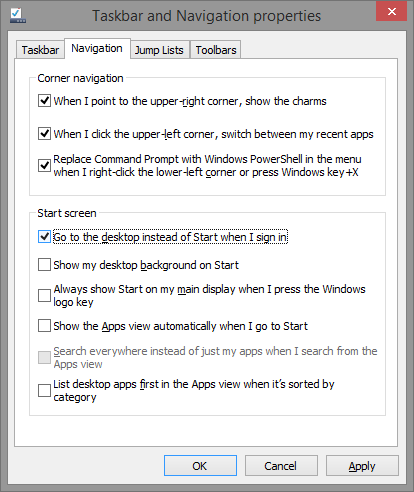 On the Windows 8.1 Desktop, right click on the taskbar and select Properties. Under the Start Screen section, check Go to the desktop instead of Start when I sign in. Click OK and reboot to see the setting in action.